With the huge success of Goji Granola, April went back to the development kitchen to work on her next masterpiece. This peanut butter and chocolate recipe is made with all the love and care of the original formula, with a little added indulgence. 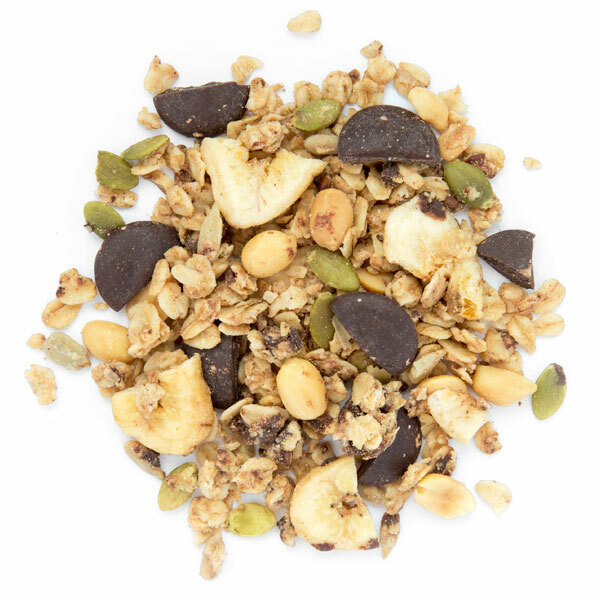 Dark chocolate helps lower blood pressure and is a good source of vitamin E. Enjoy all the organic ingredients that make this granola such a heart and brain healthy snack!